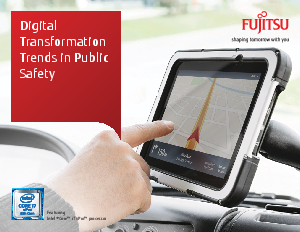 Most of the public and its public safety professionals live and work in a digital world of mobile devices, instant connectivity, and geo-location. This one powerful fact is changing the way police and first responders react to incidents and interact with the communities they serve. Types and severity of incidents are also changing, due in part to socio-cultural and environmental factors. Complicated risk scenarios requiring inter-agency coordination are occurring in both urban areas and once-sleepy suburban towns. Exploring new ways to leverage and interconnect advanced technologies to avert, respond to and resolve dangerous situations. Focusing more on data-driven insight, inter-agency and citizen collaboration, and pro-active risk management. Investing in advanced digital infrastructure and mobile solutions to improve productivity, competitiveness, and innovation.